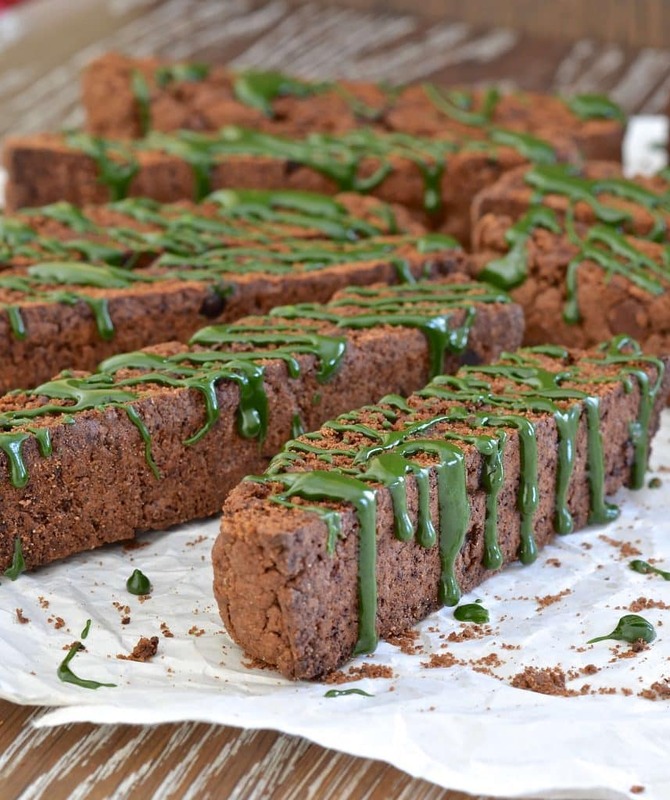 Perfectly crisp, Double Chocolate Biscotti with Matcha Drizzle. The floral, almost grassy tones of the matcha work so well with the chocolate & I promise that they will not collapse when submerged into your favourite drink! My weekend was full of sunshine, BBQ’s and biscotti. Lots of chocolate biscotti. If you aren’t familiar with biscotti, they are a very hard, twice-baked Italian biscuit or cookie. They were originally made so they could be stored for long periods of time without deteriorating and they can be eaten as they are but really come into their own when eaten with and dipped into a drink. They are often served alongside Vin Santo (a fortified wine) in Italy, but work just as well with coffee or tea. I love chocolate and have some Fudgy Double Chocolate Cookies on the blog already, but biscotti are a real favourite of mine and my husband. We love them dipped in our coffee so it’s time I had my own recipe! I wanted my Double Chocolate Biscotti to be hard but not tooth breakingly so. It took quite a few attempts to get them just right. I finally cracked it on Sunday and the resulting biscotti are hard but not too hard. It is perfectly possible to eat them as they are, but when dipped into a hot drink, they soften up beautifully and the texture is so good. As long as you don’t keep them submerged for too long, you won’t get any disintegration issues either. No-one wants bits of cookie floating around in their tea or coffee! 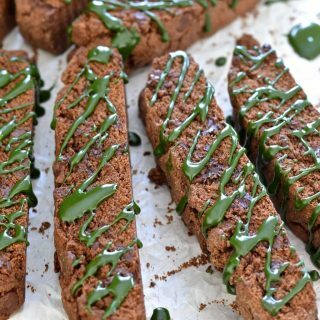 I was already experimenting with a double chocolate version of these biscotti when Christian from Lively Matcha contacted me and kindly offered to send me some Ceremonial Matcha to try. I had been planning to create some recipes involving matcha so his offer couldn’t have come at a better time. My little package of Ceremonial Matcha arrived literally as I was taking some biscotti out of the oven. How’s that for a sure sign that the two needed to become acquainted? As soon as the chocolate biscotti had cooled down, I whipped up a simple matcha frosting and got drizzling. I wanted the matcha flavour to be pretty strong in the frosting so it could stand up to the rich chocolate flavour, hence the lovely forest green colour. The grassy, almost floral matcha flavour works so well with the chocolate and because it isn’t cooked at all it keeps all of it’s wonderful nutritional benefits. The brown and the green looks so good together don’t they? 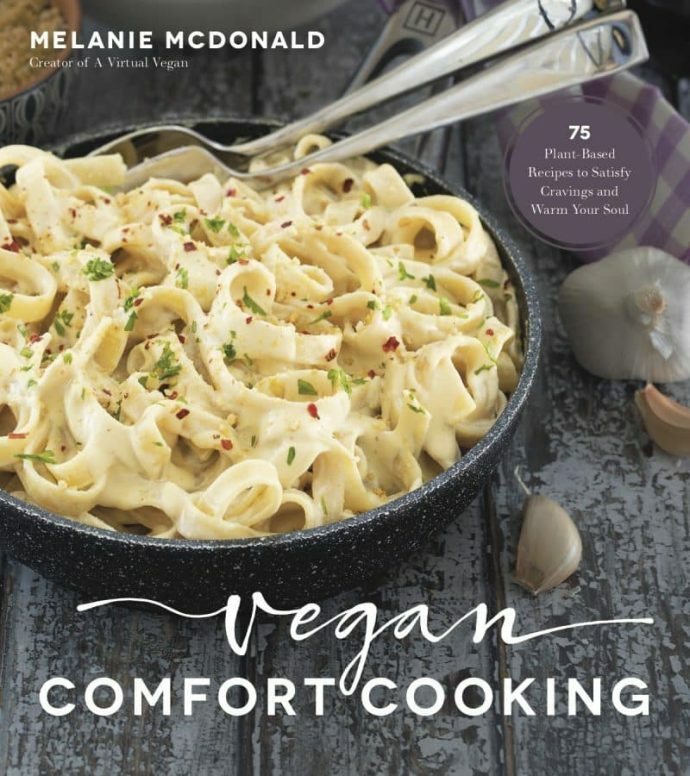 Of course I enjoy the recipe creating and cooking side of A Virtual Vegan the most, but the artistic side of it comes in a pretty close second. I quite often spend hours photographing each of my recipes. Of course the presentation of the food is important but it is surprising how much of a difference a decent backdrop makes to the photo. I am always on the lookout for interesting surfaces and was overjoyed when the kind folks at Oak Bay Broadloom & Fine Floors Ltd gave me some really lovely wooden flooring samples to use as shooting surfaces. 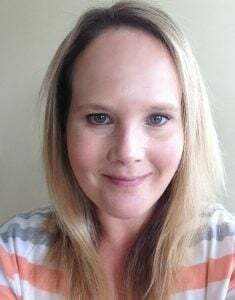 I used one of them in my biscotti pictures and am absolutely loving the effect it gives. I can’t wait to experiment with the others and want to send my sincere thanks to them for letting me repurpose these gorgeous samples. 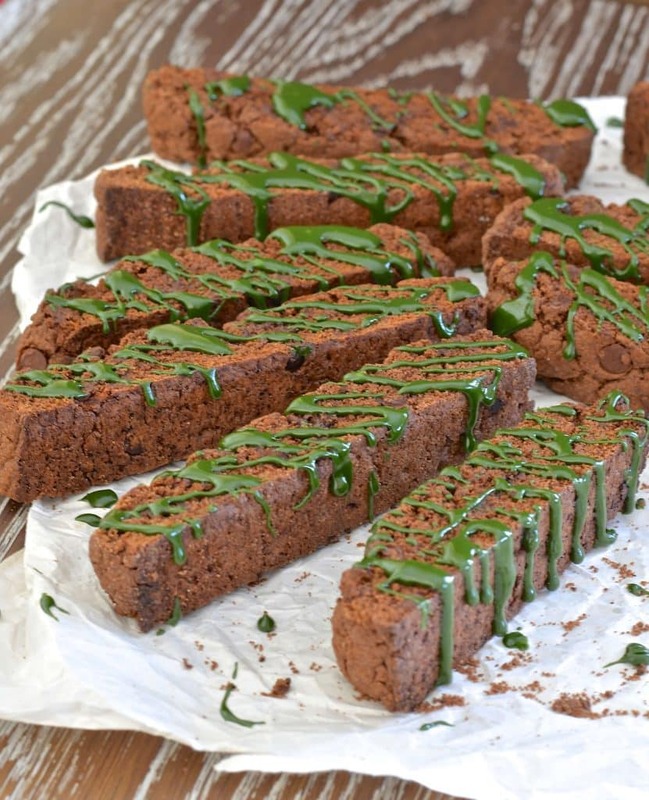 If you try these Double Chocolate Biscotti with Matcha Drizzle, please let me know what you think in the comments below. I love to hear your feedback. Share your pictures with me on Instagram too. You can tag me @avirtualvegan and use the hashtag #avirtualvegan so I don’t miss them. 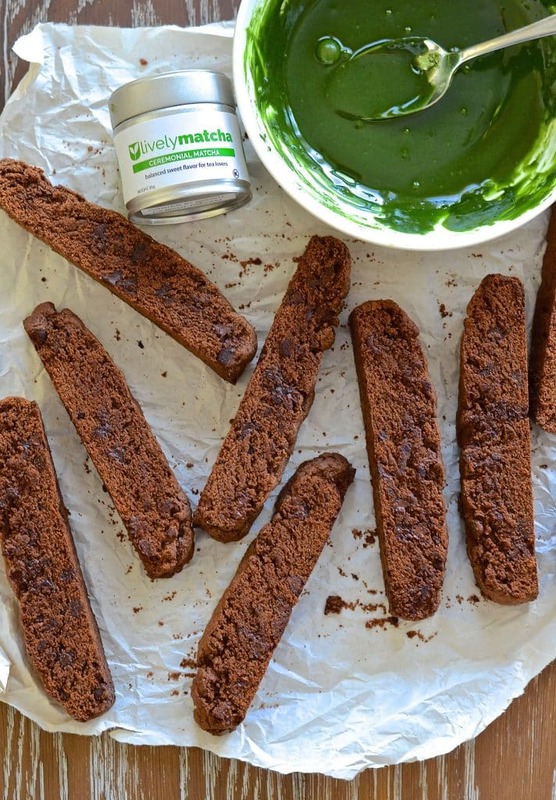 Perfectly crisp, Double Chocolate Matcha Biscotti. The floral, almost grassy tones of the matcha work so well with the chocolate & I promise that they will not collapse when submerged into your favourite drink! Add all of the dry ingredients (including the chocolate chips) to a large bowl and stir together. 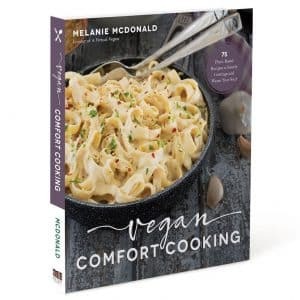 In a small bowl or jug combine the liquid coconut oil, aquafaba, vanilla extract and milk. Stir well. Add the liquid to the dry ingredients and stir until combined. Now it's time to get your hands in there. Knead and squish the mixture a little bit to get it to come together. It is a pretty dry dough and this is important as it is what keeps the biscotti quite hard when cooked. Turn out of the bowl and form into a long wide log shape. I did this on the baking sheet I was going to use to bake it on so that I didn't have to worry about moving it. Flatten the top a bit with your hands and make sure the thickness is the same all over. Smooth out any cracks around the edges. You want it to be about 1 inch thick. Remove and immediately turn the oven down to 350°F. Leave the biscotti log to cool a little on the tray for 10 - 15 minutes. No longer as otherwise it will become too hard to slice. Slide onto a board and cut into even slices about 3/4 inch thick. I found a pizza cutter the best tool for this job but a sharp knife will be good too. Be careful as it is pretty delicate. Return the slices to the baking sheet cut side down. Remove from the oven and turn over onto the other cut side. Remove from the oven, transfer to a cooling rack and leave to cool completely. For the frosting combine all of the ingredients in a small bowl and stir until completely smooth. I made this recipe and it turned out amazing, along with so many of your other recipes on your website! The biscotti is a perfect texture and does not dissolve in drinks. Great chocolate flavor as well. Do you have any recommendations to substitute the chocolate for maybe a cinnamon or chai or gingerbread base? Thank you! That’s awesome Allison. I had forgotten about this one, it’s so old! I’m glad you found it in the archives. I really should develop some other flavours. You could easily play with this one in the meantime though. Just omit the cocoa and use quarter cup extra flour to compensate, omit the baking soda as it’s not necessary without the cocoa, and increase the baking powder to 1¾ tsp, then add in any flavourings you like. Chai spices, vanilla, cinnamon, ginger, dried fruit, chocolate chips. 1 teaspoon of ground dried spice should be enough but taste it to double check and add a little more once it’s mixed up if necessary. Crystallized ginger would be lovely for the holidays with a drizzle of chocolate. So many options. And just do a plain glaze with the powdered sugar and aquafaba, or add in some vanilla and a hint of spice, or melted chocolate! Have fun. I think I need to make these again now! They are so good with strong black coffee! And yes the flooring samples are a real winner. They photograph so well. That matcha on top is perfect. I would love these with my morning coffee! Thanks Ceara. They are so good with strong coffee! Biscotti is so yum!! I love the texture of it. And that matcha drizzle is so pretty on top! Thank you Sophia. I love how ‘dippable’ biscotti are.There is nothing worse than half a cookie falling in your drink! I make biscotti for Christmas, but have never made it during the summer months. Time to change that. :) I love the matcha drizzle on top of these cookies. So healthy and pretty! What a great recipe idea! I haven’t worked much with matcha with baking, but this is inspiring me. Thanks for this great recipe! Man, this looks so delicious! Thanks for sharing your amazing recipe. It’s very hard to believe that a green tea can make such creative treats like these biscottis, but that’s why matcha is so popular nowadays. I’ll need to try this recipe over the weekend. Oooh, matcha – I have only had some matcha tea and ice cream but I love the flavor and have wanted to do something with it soon. Hopefully this summer I’ll have some time. I bet these would be a great Christmas present as well because of the green. I need to remember these at Christmastime – I’m pinning so I don’t forget! I love the food photography side of blogging too (when it comes out the way I want it to lol). The wood floors look great in these photos. Hi Mary, you’re a genius! These biscottis would totally rock as a Christmas treat. I think Mel nailed this recipe, and just top it off with such amazing photos too. Thanks Rebecca. They do make an awesome combo. The colour alone makes matcha fun!